Even if you don’t have a lot of music or videos on your iPhone, you may eventually find yourself in a situation where you do not have enough storage space for something. Whether it’s a new game or app that all of your friends are playing, or an episode of your favorite TV show, you need to have a minimum amount of storage space available on your device. Your iPhone will let you know if you are attempting to download or install something for which you do not have enough room, but you can check this yourself before you reach that point. 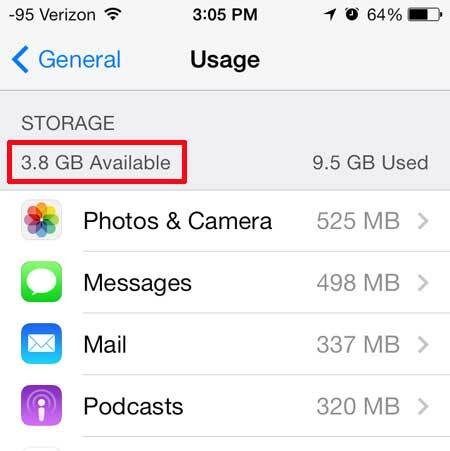 How Much Free Space is on My iOS 7 iPhone? Following the steps below will lead you to a screen that tells you how much space is being used on your iPhone, as well as how much space is left. There will also be a list of installed apps underneath this information that tells you how much space is being used by each app. This is a good place to start when you need to start deleting stuff. Then you can start deleting large files, such as videos, to free up some more space. 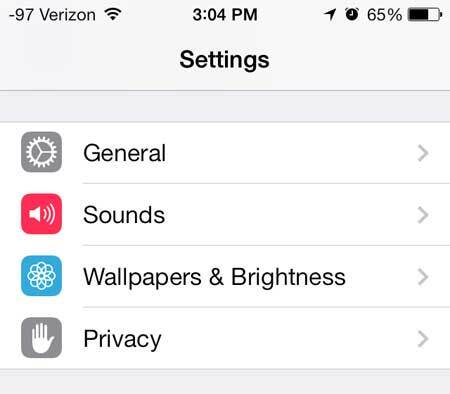 Step 4: The remaining space on your iPhone is listed at the top of the screen under Storage. As mentioned previously, you can find out a lot of other information regarding app file sizes by checking the list on this screen. Tired of manually installing updates on your iPhone? 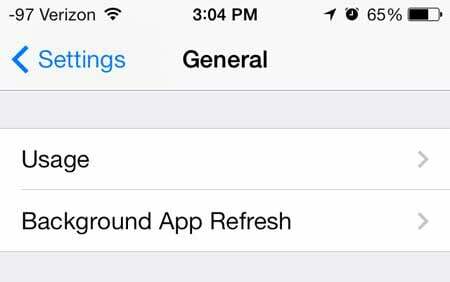 Learn how to have your iPhone update apps automatically.